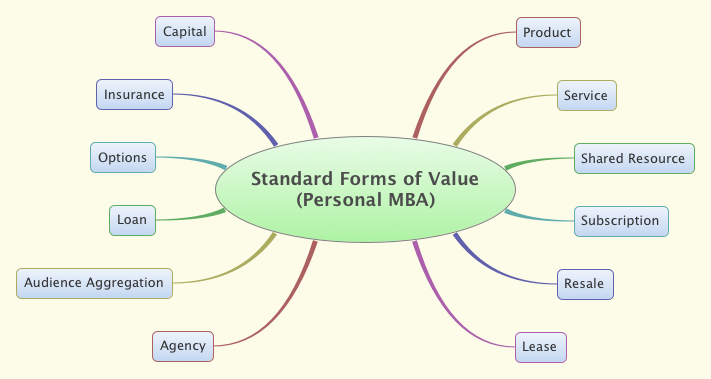 This mindmap is a visual depiction of twelve forms of standard value described in “Personal MBA” book. From a scalability perspective, the “Product” is the most valuable as it can be replicated and “multiplied”. Most business will sell their value in multiple forms. This entry was posted in Entrepreneurship and tagged ciso, mind map. Bookmark the permalink.